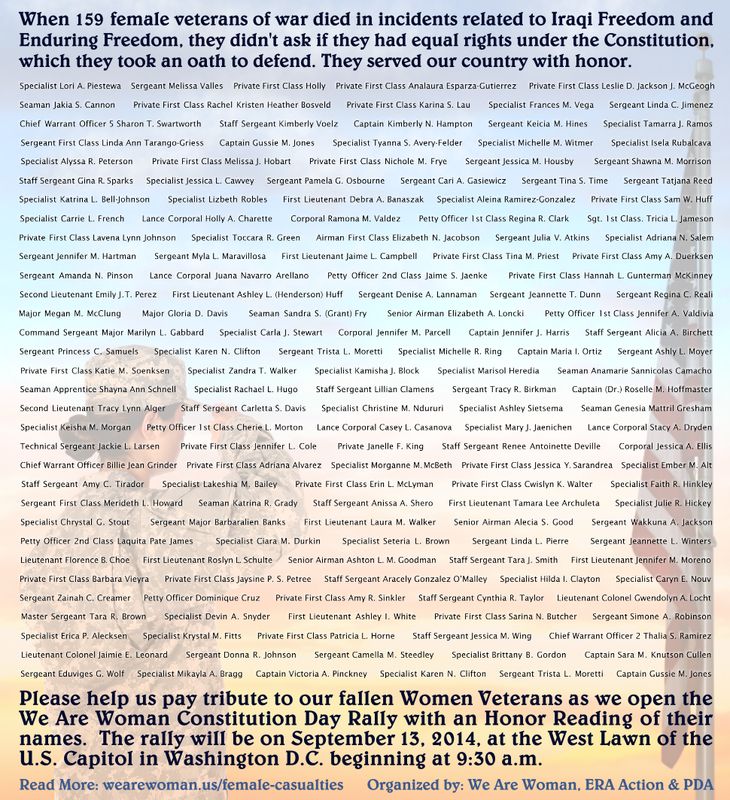 We will be opening the We Are Woman Constitution Day Rally in Washington DC with a very special tribute to our fallen women veterans. One hundred fifty nine female veterans of war died in incidents related to their deployment in Iraqi Freedom and Enduring Freedom. They did this despite serving a country that does not recognize them as equal under the U.S. Constitution. This number does not begin to recognize the thousands of women veterans suffering from war injuries and PTSD. 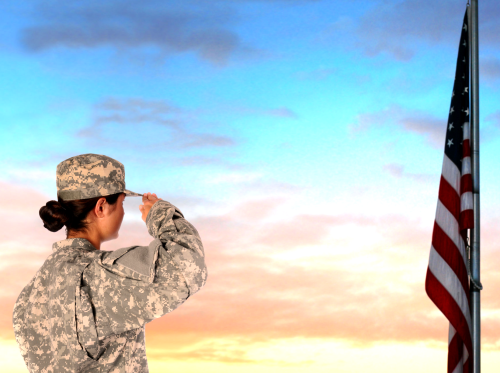 Women make up almost 20 percent of our military and without them our national security is compromised. Since women have fully accepted the responsibilities of citizenship in this country, we deserve the benefits of citizenship, a Constitutional guarantee of our rights. Let's bring it to the steps of the US Capitol that women will not wait another 200 years to have our rights guaranteed. Help us honor the women that died for our country as well as for all who have served and who are serving today, and especially for all those who will serve in the future.